I have developed a concept I call “Perfect Week”. The idea behind Perfect Week is that you sit down on a Sunday night and plan every day for the next seven days. But you not only plan it, you ensure that in every area you have control over, you do exactly the right thing. So this is not a vacation week and it is not a daydream week where you find $100 bills and everyone is nice to you and every coincidence is favourable. Rather this is a normal week where you are disciplined to do everything you want and need to do. I will give you a cut-down version of my Perfect Week to give you the idea. Get up at 6am and go for a walk on the waterfront and pray. Eat at least five portions of fresh fruit and vegetables. Drink at least four pints (two and a half litres) of water. Send one email that takes me closer to a goal. Write for one and a half hours. Pray individually with each of my kids before bed. Spend at least half an hour of quality time with my wife. Workout at the gym on Monday, Wednesday and Friday. Go for a 45 minute prayer walk on Tuesday and Thursday. Do at least one hour preparation for my Bible in Schools classes on Tuesdays. Pray with friends on Tuesday night. Read one motivational or educational book. Spend at least 10 hours quality time with my kids. Have a date night with my wife. The interesting thing is that even though it looks achievable on paper it is extremely difficult to achieve in reality. However I thoroughly recommend you plan a Perfect Week and try as hard as possible to achieve it. Tip #1 How far from Normal? 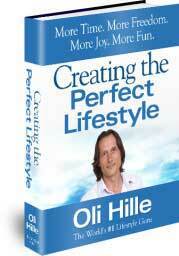 Planning and trying to live out your Perfect Week will show you how far your normal week is from your Perfect Week (i.e. great motivation to make some changes). Planning and trying to live out your Perfect Week will also show you how many incidental and unimportant things you allow to creep into your life. When you are 85 and on your rocking chair don’t you want to look back on weeks where you either achieved your Perfect Week or got close? I have a feeling that many people will look back and see the mountain of distractions that caused them to live at a far less fruitful and abundant and contributing level than they would have liked. When you can choose not only in this area levitra coupons can say a gift for you levitra coupon here that faith orderly customers.